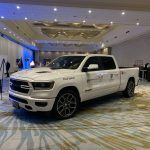 Conn Smythe Sports Celebrity Dinner and Auction 2019! 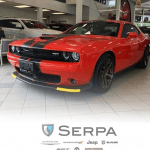 Get ready for summer stylin’ with the 2018 Dodge Challenger SRT! 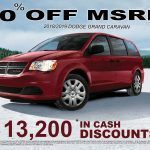 If you’re looking for affordability and reliability, look no further than our 2019 Dodge Grand Caravan! . 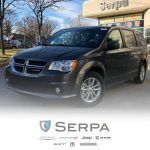 If you’re looking for affordability and reliability, look no further than our 2019 Dodge Grand Caravan! . This is the perfect family or work van. With fold and stow away seats, this van offers the room and versatility for anything you throw its way! 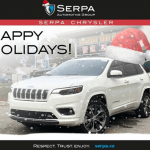 Warm wishes and Happy Holidays from our Serpa Chrysler family to yours! Take Advantage Of Our Amazing December Holiday Sales Event! BEST HOLIDAY EVER EVENT!! 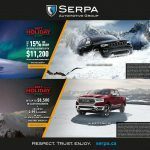 Amazing deals at Serpa Chrysler all December long on 2018 Jeep Grand Cherokee’s, 2019 RAM 1500’s and many other makes and models. Come and visit us today! 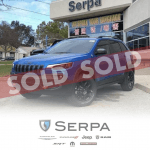 We love the colour on this 2019 Jeep Cherokee Trailhawk! Hydro Blue certainly turns heads on the roads and we are so excited for the new owner to enjoy staring at this gorgeous colour everyday!